Shuanghui international holdings Ltd is the leading producer of pork in China. In 2013, the firm agreed to acquire Smithfield Foods Inc. (SFD) for the cost of $4.72 billion in an attempt of boosting the supplies of the nation in meat consumption. According to reports from the Forbes Magazine, this acquisition is an illustration of how the Chinese market is moving from the natural resources and engulfing American and European consumers (Backaler, 2014). The acquisition of Smithfield, which is the world’s leading hog producer that brings approximately 15.8 billion of the animals marketed annually depicts the inevitable intrusion of the Chinese in the market of food supply. According to Smithfield website, the company owns 460 farms and contracts 2,100 other firms across several states in the United States (Investors.smithfieldfoods.com, 2014). There are several financial consideration that were involved in the merger and acquisition. Debt is a key consideration in any takeover. 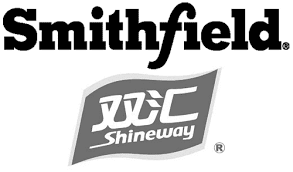 The acquisition of Smithfield Inc. by the Chinese company is one of the largest American takeovers and the valuation including debt is estimated to be $7.1 billion (Investors.smithfieldfoods.com, 2014). Such a takeover is open to investigation by the Foreign Investment Committee. This is due to the increased risks in the foods supply chain in the American economy being left in the hands of a foreign. The issue of how the takeover will be financed is a major question. According to reports in the Bloomberg, before the regular trading in New York, Smithfield sales rose by 24% totaling to $32.31 per share (McCracken, 2013). The takeover will be funded by a rollover of the existing debt of Smithfield, cash, and a commitment of the debt to Morgan Stanley and a group of banks. However, the management team of Smithfield will remain, and the takeover depends on approval of regulators and shareholders in Smithfield.